We are back with another Twinsie Friday, we decided on doing a mani using Color Club Wild at Heart, then I stamped using a few different colors to do a fading effect! I can't wait to see what my Twin has done! Check it out at Nails Made Simple. 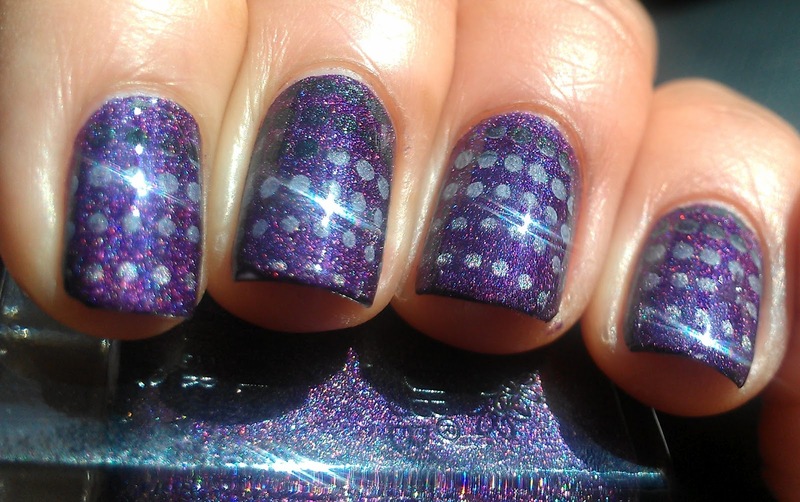 This holo is so awesome! Very pretty!! That purple is gorgeous! Beautiful! 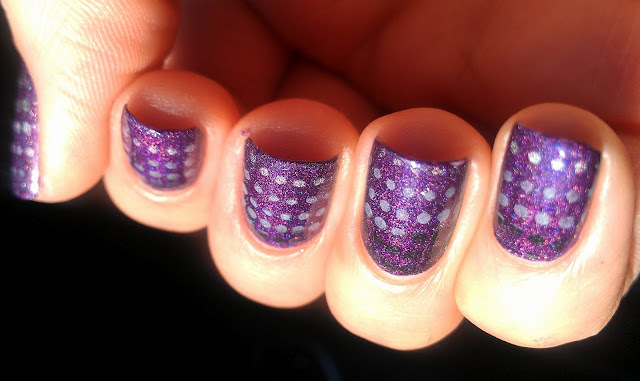 I love the holo purple as a base for the dotting. i have this sitting in my untrieds box! its gorgeous! Fading effect looks real cool! And the base color is so pretty! So much sparkle in that, wow! I'm wearing it too! ♥ Because Maria told me she's having it on nails and I was without inspiration so I decided to grab this one. :D I actually did dots too but I still didn't take a picture, will post soon! 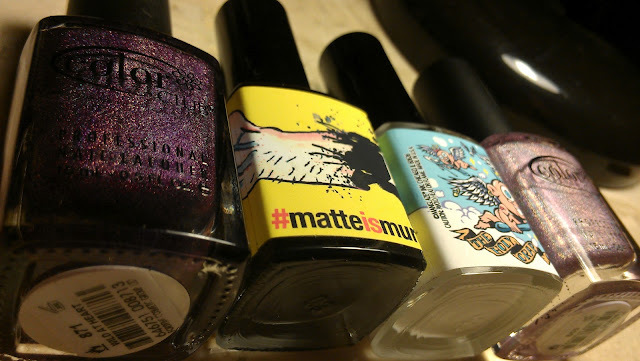 Gorgeous nails, gorgeous polish and lovely stamping! I ♥ it! This looks amazing!!!!!! I love it! Absolutely gorgeous! I love the faded dots stamped on, and of course the background color is phenomenal as well =) Blingin'!!!! 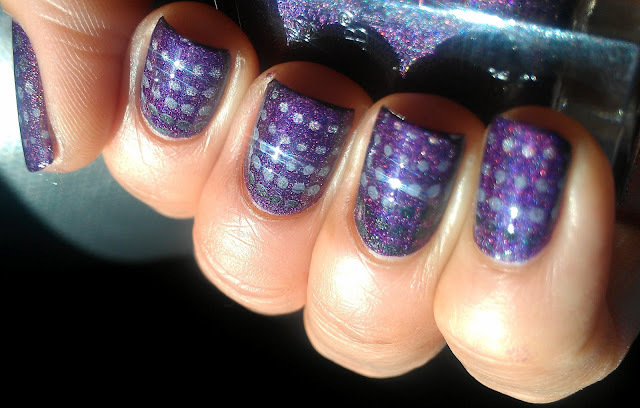 Purple and holo. Wild at heart is definitely a winner! So pretty! I love this one, Wild at Heart is so gorgeous. Absolutely gorgeous! The shine looks amazing! wild at heart is just gorgeous! and i love the faded stamping. 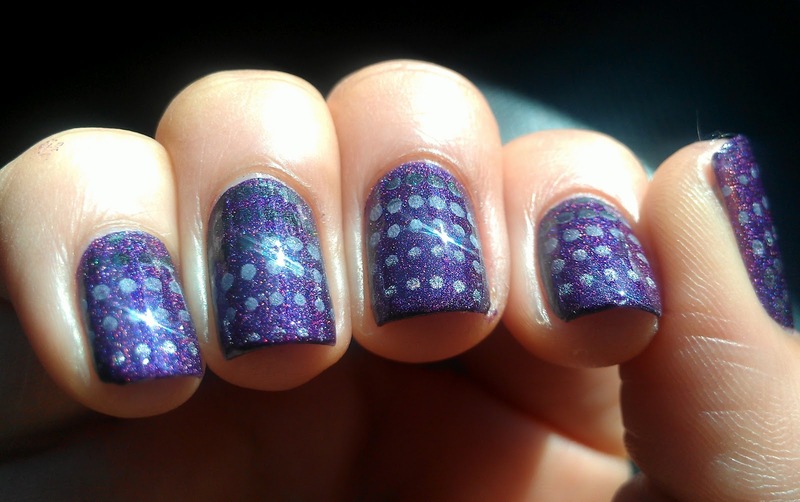 beautiful <3 i love your stamping skills! This looks so beautiful!!! I must get Wild At Heart ASAP!! It's such a gorgeous polish. That wild at heart is on my wish list! This is so awesome! Love e colors you used! This is gorgeous!! Love those dots! It's sitting in the untried stash. I'd better take it out of there and wear it! It's amazing.